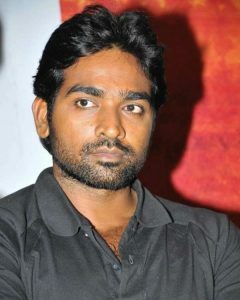 1.Vijay Sethupathi all set to step foot into Bollywood. Vijay Sethupathi who stole the show in the recently released KV Anand directorial Kavan is all set to test the shores of Bollywood too. Looks like he would be debuting in Hindi through a film that is titled as Mard Ko Dard Nahin Hota. It has been reported that the actor has been approached to play a prominent role in the film, which is being produced by director Anurag Kashyap and directed by his former assistant Vasan Bala. This will be an action-comedy that has actress Bhagyashree’s son Abhimanyu Dasani in the lead role. The production house has reached out to Vijay Sethupathi to play a pivotal role in this funny martial arts film. The actor is yet to agree to work on this film as he has got a row of films to be completed for this year. The 64th National Film Awards have been announced and Tamil industry gets 6 prestigious awards. Suriya-Vikram K Kumar’s 24 gets the Best Cinematography award bagged by Tirru. 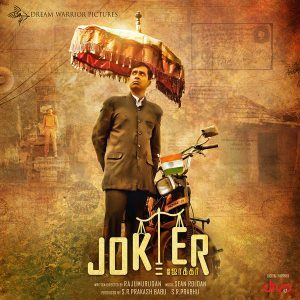 Director Raju Murugan’s Joker gets 2 awards, one for the Best Tamil Film and the other for Best Singer (Male) for Sundarayyar. and for the Best VFX. Lyricist Vairamuthu gets the Best Lyricist award for the 7th time and this time around, he gets it for Seenu Ramasamy’s Dharma Durai where his lines Endha Pakkam won the jury’s acclaim. Popular film producer and director of BOFTA, an institute of film studies, Dhananjayan gets the Best critic award. He says, “It is an honour to win the National award for the second time. I have been writing my reviews on Tamil cinema for both English and Tamil media groups/channels. I have compiled all the reviews and sent them for the National award selection. I am glad that they have chosen me as the Best Critic”. Budget, huge star cast, foreign locations are not mandatory for a quality film, which is now proved by the successful blockbuster film ‘8 Thottakkal’. Audience would have seen the versatile actor MS Baskar in many different roles, but the cop role he played in 8 Thottakkal gets huge appreciations from all sets of audience, especially from the cinema critics. The new-age -cop thriller ‘8 Thottakkal’ is directed by debutant Sri Ganesh, former assistant of director Mysskin is earning great appricaions from all the quarters. Recently MS Bhaskar visited director Sri Ganesh in person and honored him with a gold chain. 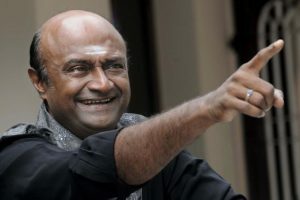 “So far I have known to the audience only as Pattabi which I got through a famous Tamil serial, but in recent times (after the release of 8 Thottakkal) people started calling me as ‘Moorthy’. This is because of the impact of 8 Bullets. The glory of Tamil Film Industry is growing day to day by the entry of young and talented creators, and my director Sri Ganesh is one among them. I am really happy to be associated with him, and I thank my producers for giving me this wonderful opportunity” says MS Bhaskar. 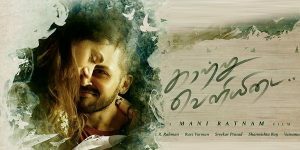 Mani Ratnam’s “KaatruVeliyidai” is as authentic as it can be. The film featuring Karthi and Aditi Rao Hydari hit the screens on the 7th April but has been getting a mixed response. There is a sequence in the film where, the Indian prisoners Karthi and his two friends escape from Pakistan prison and their army men. Some online reviewers are quizzing about the authenticity of this sequence. The production house Madras Talkies has come out with an explanation for the same. When Flight Lieutenant Dilip Parulkar was shot down over Pakistan on 10 December 1971, he quickly turned that catastrophe into the greatest adventure of his life. On 13 August 1972 Parulkar, along with Malvinder Singh Grewal and Harish Sinhji escaped from a POW camp in Rawalpindi. Four Miles To Freedom is a book written by Ms.Faith Johnston. It depicts their real story. KaatruVeliyidai borrows incidents from this book. Most of what Karthi and his friends do to escape is from real incidents. So, this should put an end to people who question the authenticity of this sequence and the confusion surrounding it. Dhanush is awaiting his maiden directorial Pa.Paandi (earlier called as Power Paandi) this 14th April for Tamil New Years Day. The film features Raj Kiran, Revathy, Prasanna, Chaaya Singh and others with Dhanush and Madonna Sebastian playing cameo roles. 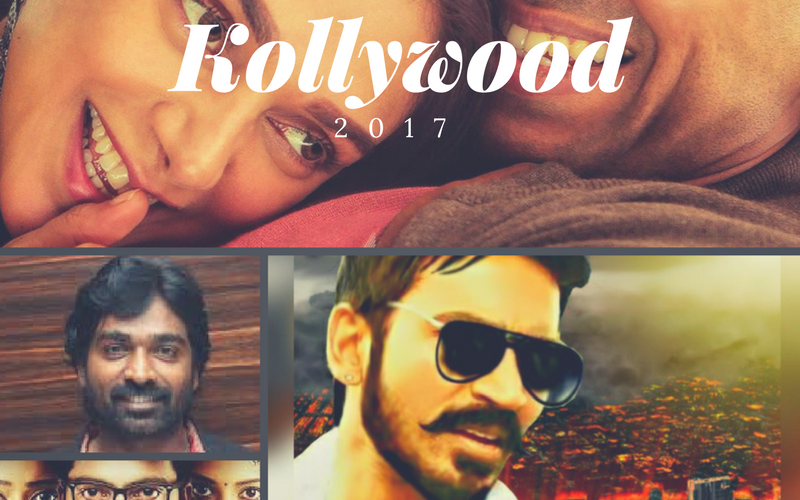 While this is on one side, Dhanush took to Twitter to update about his plans for the days. According to his tweet, he would be joining the sets of Vetri Maaran’s Vada Chennai from today. His tweet read, “With power paandi’s release 2 days to go,resuming vada chennai shoot 4m today.Blazing sun,sea,great people nd typical Vetrimaaran locations”. 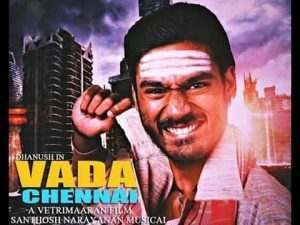 Vada Chennai is a gangster trilogy that has Dhanush, Amala Paul, Samuthirakani, Daniel Balaji, Vijay Sethupathi and others. There is also a talk that Vijay Sethupathi has walked out of the project due to date issues but although there is no official confirmation on this.